Wendy's 3-D Cats: DOMINO: JUST FIDDLIN' AROUND! 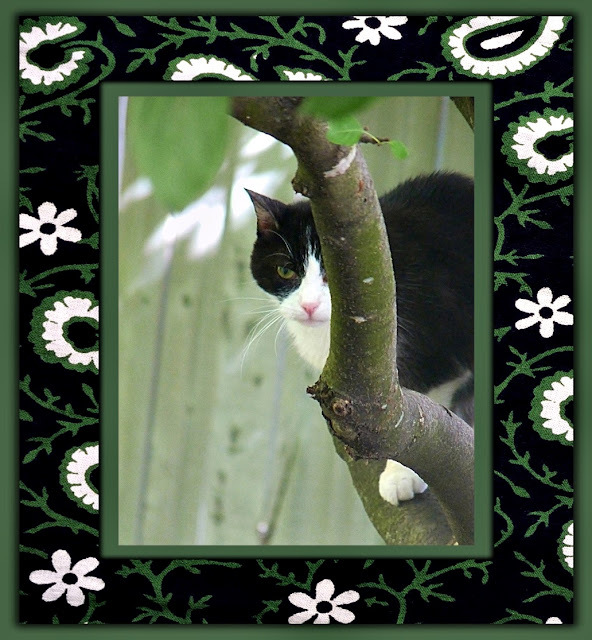 This is Domino in the crabapple tree in early May 2012. 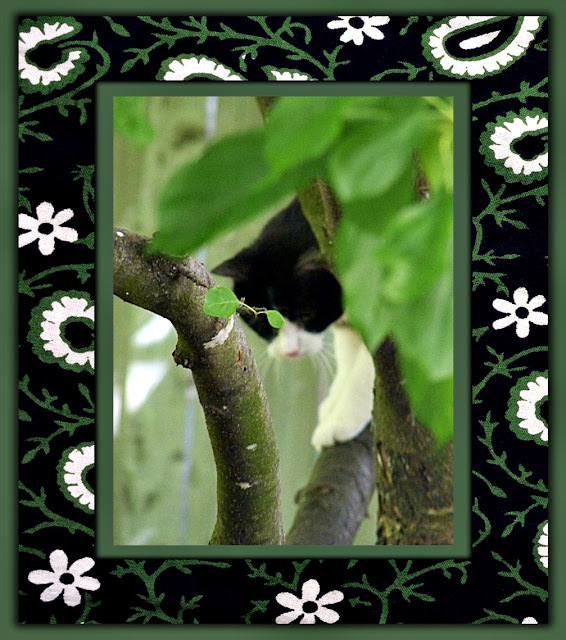 Domino loved to climb trees and she was very fast at it too. 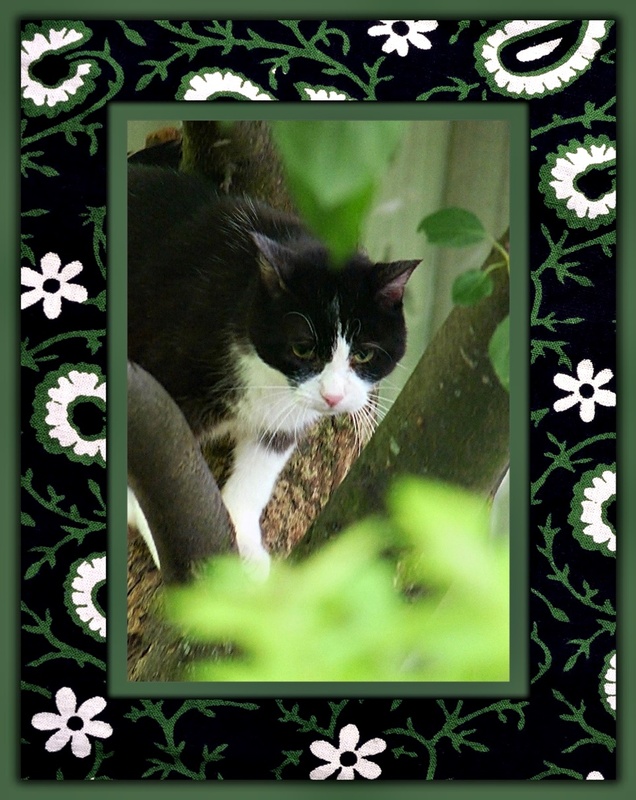 She virtually jumped halfway up and quickly scrabbled onto a branch. "Trees give yoo a wunderful purrspective" she was known to say. ... but da close-ups is pretty amazin' too!" Wonderful photos of beautiful Domino.